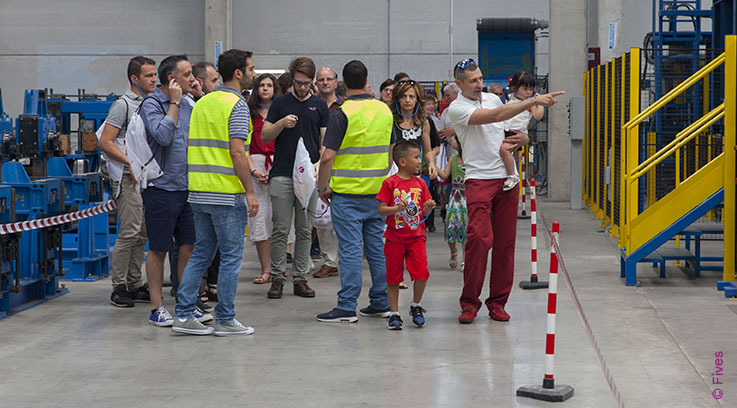 For the first time, Fives OTO special day, when employees and their families gather together, took place in a tube production facility. Ilta Inox, a market leader in stainless steel tube production, opened its doors to Fives OTO employees and their families to get acquainted with a tube production cycle on June 10, 2017. In complete safety, the visitors could see a 24’’ diameter tube processed at the OTO 6096 INOX mill line, designed by Fives OTO specialists and supplied to Ilta Inox plant in 2015. The mill line was designed for continuous stainless steel tube production in the range from 10” to 24” (from 273 to 609mm) for different applications: power generation, chemical, pharmaceutical and food industries. The line features an ultimate performance due to the high ratio diameter/thickness and a wide range of tube production without a roll changing system. Young and grown-ups were accompanied along the entire production process to witness how it is possible to create a tube starting from a metallic coil: from its unwinding, to its controlled modelling and forming throughout the process up to the tube welding, cut-off and trimming. 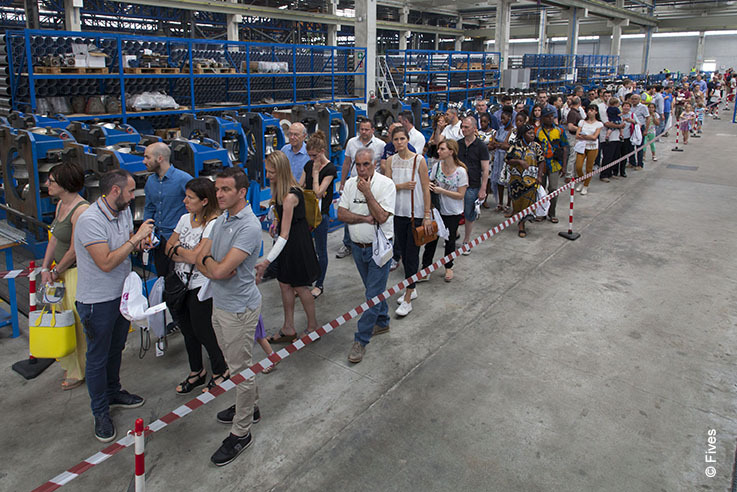 The groups were guided by Fives OTO specialists who with passion and competence clarified to their relatives some aspects of engineering and production, which are anything but trivial. It helped to gain a better understanding of both processes and products, sharing pride in achieving final results. The event is then continued in a farmhouse restaurant, where all the participants were able to conclude in joy a day rich in humanity and content that for many will remain much more than a pleasant memory.